When I was 16 I had my spine fused from my neck to my waist (read my blog post here for more information). I then spent 11 years keeping very still, scared I would hurt myself and end up having to have another operation, or paralysed! However as I got older and got a desk job, my back muscles became weaker and I started to get a little achey. Also, I was completely sedentary and began to consider my health. So two months ago, my housemate and best friend Sarah and I signed up to Anytime Fitness gym and I began a gentle introduction to exercise! I've been going around 4-5 times a week and my favourite thing has been classes! I love Boxercise, Body Pump, Yoga, Pilates and "Beach Booty Bootcamp". I have been doing some stuff in the actual gym, but thought I should get my form correct in classes first so I don't injure myself. I was only working out in my PJs and leggings, looking very unstylish because I didn't own any sports clothes! 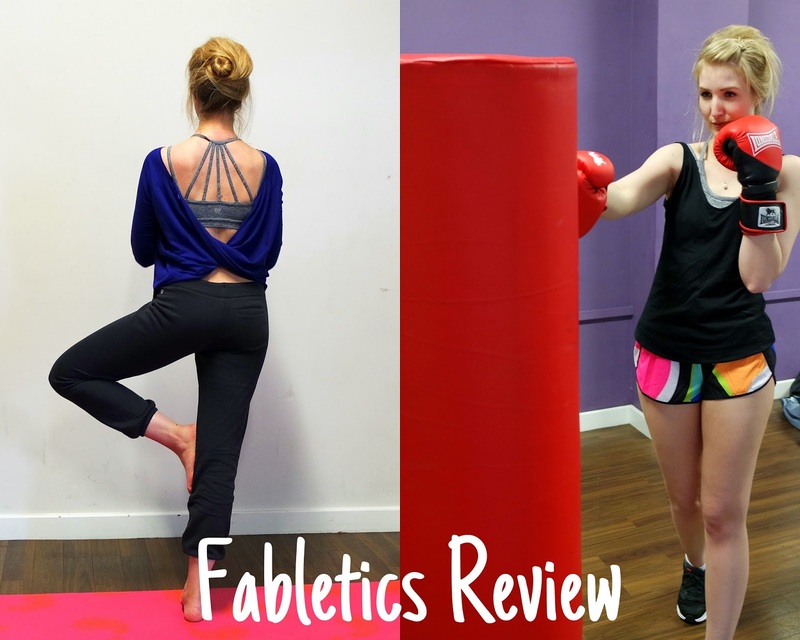 Then I was contacted by Fabletics, the super cool activewear brand by Kate Hudson, asking if I'd like to review some of their pieces, which I leaped at, tired of looking like I had no idea what I was doing (even though I had no idea what I was doing). The site offers complete workout outfits which are in fun colours, prints and styles, although initially it's a bit confusing. If you're new there are three prices by each outfit! Guest prices which are higher, VIP prices which are much cheaper, and new member prices which are dirt cheap! Basically, I gather it works like this: you can either shop as a guest without an account, or you can get a VIP membership which is like a subscription service for £44 a month. In this, you get your first outfit half price (pick wisely! I suggest an outfit with a sports bra!) and then you get to pick an outfit every month as part of your membership which is half the price of the guest prices. If you decide you don't want another outfit that month, you can either skip the month at no cost (you can skip as many as you like) or you can choose to save up the credits to do a big shopping spree at a later date. If the outfit is more than £44, you pay the extra, and if the monthly outfit is less, your account gets credited. You can cancel your membership at any time too. You also get free deliveries and returns, reward points and some other perks. Got it? If you're still a little confused, I found this page helped. Anyway, I did a quiz about my activity. I said I enjoy yoga and the gym (I clicked "I mix it up! "), that I work out at the gym rather than other locations, then I chose I love all colours. I was then asked details about my body shape (lean) and asked what size I was in tops, bottoms and sports bras. Once I'd given them my email address, I was given personal outfit picks which suited my workout style. I chose a yoga and a cardio outfit! I love yoga because it doesn't matter how "good" you are! With my inflexible spine it's lovely to do some toning, stretching exercise without worrying how I look! I love the top, the colour is great and I think the cut is really unusual and pretty! It was really soft and comfortable so I felt I could move, and with a sports bra on I didn't have to worry about showing a little skin. I felt it helped me cool down during sun salutations (phew, they get the heart pumping!) but keeps me warm during the meditations. The trousers came up on the large size. I chose an XS/8 but felt they were more a large size 10. However they are really cosy and stayed up when I was doing downward dog poses! I liked the elasticated ankle which meant I could push them up for some balances, but they didn't ride up when I did headstands. I've been really loving Boxercise, Body Pump and Circuits, but gosh I get so warm! I decided to get these funky Carrie Short II in Popsicle Print (£26) and a nice basic, the Balm Tank in black (£13). The shorts are WOW! The print and cut is lovely, with the scooped up sides. They are quite short so I might wear them with some little shorts underneath, but I love them! I found I had lots of room to move around and get lunging! The top is lovely and light, and I like the slightly unusual cut, with a v-shaped back and thicker straps than a regular vest top. Thank you Chris Phelan for being photographer! Didn't he do a great job? Chris, or PhelanFit as he's also known, is the best Personal Trainer in Gosport, he's ex-navy and is a great combination of really supportive, but pushing to get the best out of us! If you're local, hunt him down! I've started getting actual muscles thanks to him! I'm looking forward to getting fitter and stronger in the future. Overall review of Fabletics - I really liked it! 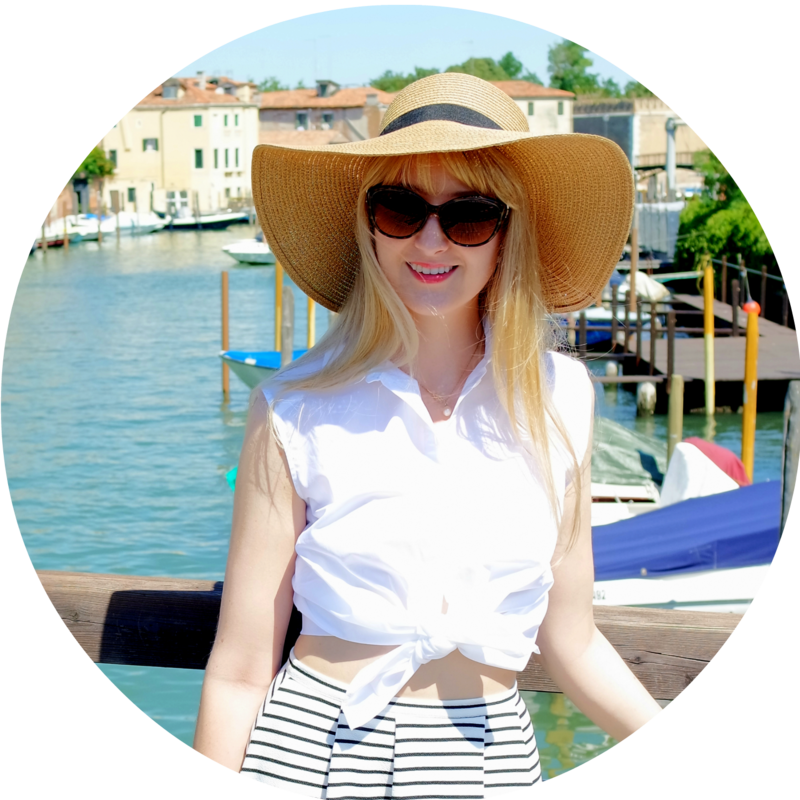 I enjoyed the process of picking outfits and I loved all the items when they arrived. I think it's definitely a service I will use whenever I need new gym stuff. I guess the only issue is I'll have to remember to skip months between. I'm hoping the monthly email will prompt me, but if not at least I can save the credits up. Other gym wear - I love my strappy sports bra from Forever 21, and got some cheap running shoes for people with flat feet from Sports Direct. I'm also wearing a Pebble Time Round - a fitness tracker and smart watch.